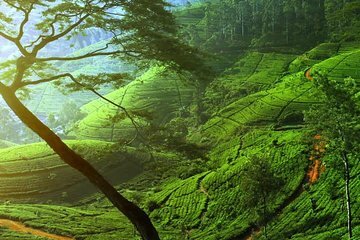 This is a perfect choice for travelers interested in learning about the history of tea in Sri Lanka. Access rural landscapes without the need for car rental as hotel pickup, drop-off, and transfers are included. Visit the scenic Nuwara Eliya area, which is known for its mountains, waterfalls, and tea plantations. Highlights include a visit to Ramboda Falls, a tour of Gregory Lake Park, and a visit to a tea field and factory for a tea making experience.